First person shooters are usually quite ideal for playing on game consoles or computers. That is because they provide more than just the usual controls that portable devices can offer. But it does not mean that game makers won’t develop FPS games for smaller devices. In fact, there are already neat FPS game apps available for smartphones and tablets. One of the more exciting ones to come out is the Brothers In Arms 2 Android game app. 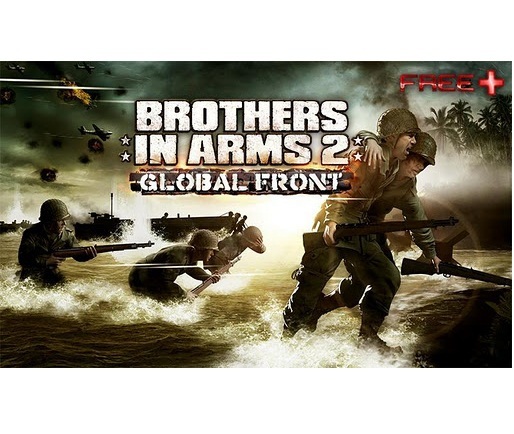 The Brothers In Arms 2 Android game app is a neat first person shooter game that offers not just stunning graphics but also some engaging game play as well. Players can have a choice of playing the Story Mode or even with other friends in Multiplayer Mode. This game app can accommodate up to 6 players in Multiplayer Mode. Players can play to earn dog tags or XP to unlock extra features of the game and customize your character. The game app comes with easy to understand and highly responsive touch controls that make the game fun to play with. There are 50 missions to go through across 5 locations, making the game more than just a one-time gaming experience for most players. The Brothers In Arms 2 Android game app is now available at Google Play for free download.